The more you shop, the more you save this Christmas with Pentax and Ricoh offering up to £200 instant cashback on select products. Until 31 December 2018, select Pentax and Ricoh cameras can be purchased with up to £200 instant cashback. Whether you're treating yourself or a loved one for Christmas, there is something for photographers of all levels, including Full-Frame, APS-C SLRs, Compacts and 360-degree cameras. 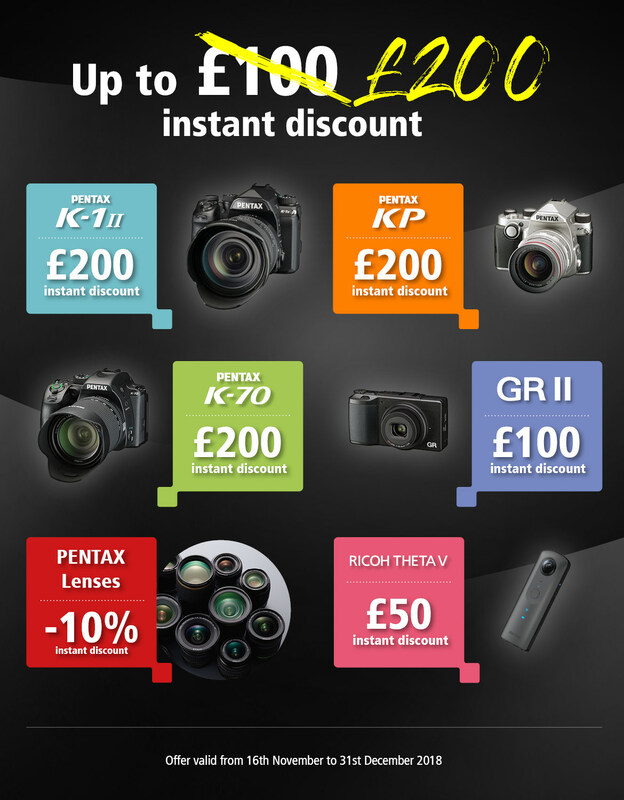 Plus, there's a 10% instant discount available on certain Pentax lenses. For more information on where you can shop, visit the Ricoh Imaging website.